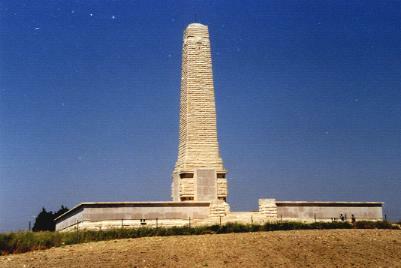 Died of Wounds on 12th August 1915 aged 38 years at Gallipoli. Hugh Osborne Williams was born in Holywell, Flintshire in 1877, during Registration Quarter Jul-Aug-Sept. Volume 11b. Page 243 refers. During 1881 the family lived at Bodgwyn House, Brynford Street, Holywell. The head of the family was Joseph Williams aged 40, who was a Civil and Mining Engineer. His wife Elizabeth Ellen Williams aged 44 and their 9 (nine) children- Arthur Caradoc Williams aged 15, an Apprentice Civil Engineer, Edward John Herbert Williams aged 14, a Scholar, Joseph Llewellyn Williams aged 13, a Scholar, Albert Foster Williams aged 11, a Scholar, Peter Ernest Henry Williams aged 10, a Scholar, Frances Ellen Williams aged 8, a Scholar, Hugh Osborne Williams aged 3 and William Neville Pennant Williams aged 1 year. Also living with the family at that time was Hannah Matthews aged 17, who was employed as a General Domestic Servant. The 1911 Census states that the family now lived at Tros-y-Maes, Holywell. The head of the family was Elizabeth Ellen Williams aged 74, a Widow. Her husband Joseph had died some years previously. She still had two sons living at home, Hugh Osborne Williams now aged 33, who was employed as an Analytic Chemist and William Neville Pennant Williams aged 30 a Medical Student. 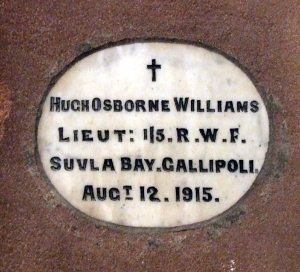 One of the sons who had left home but who still lived in Holywell was Hugh’s brother Albert Foster Williams. Little is known of him but he must have been a prominent person in the area at that time because he was one of the founder members of the Basingwerk Masonic Lodge, Coleshill Street, Holywell, which was formed on Wednesday 22 September 1915. He later became Worshipful Master of the Lodge on Friday 27 September 1918. During 1914 Hugh Osborne Williams enlisted as a Commissioned Officer into the Royal Welsh Fusiliers and during early 1915 arrived in France with the Battalion. From there he was posted to the Balkans Theatre of War. Following his death the National Probate Calendar for St. Asaph dated 4 November 1915, states that he had bequeathed the sum of £223. 6s 8d to his mother, Elizabeth Ellen Williams. 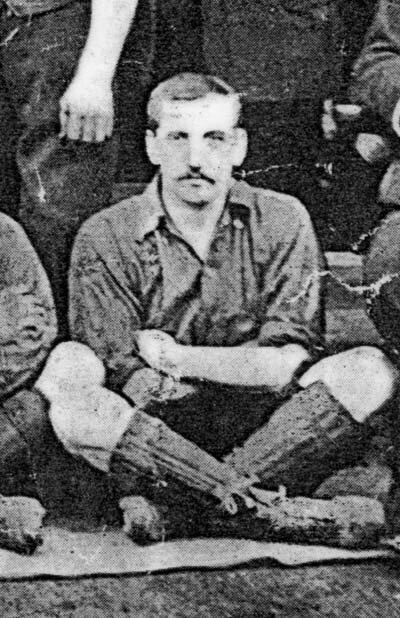 Hugh Osborne Williams as a football player with Flint United. Many thanks to Peter Metcalfe for sharing this photograph with us. There is a Flintshire Roll of Honour card for Hugh Osborne Williams at the County Archives Office, Hawarden.